Its the first day of another Diabetes Blog Week! I am so excited to be a part of this wonderful adventure once again. As a blogger, it allows me to have topics chosen for me and write about topics that I may not have otherwise thought about. As a reader, it gives me the chance to see many new blogs that I may not have come across before. In other words, its a win-win week that I hope you enjoy as much as I do! 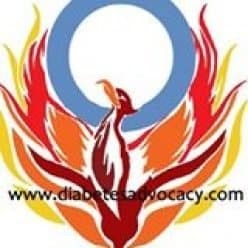 Today’s prompt asks me to share what I have done because of diabetes that has made me the most proud or what good thing has diabetes brought into my life? Obviously I am proud of the way my son is learning to handle his own diabetes care. How much of that is up to me and how much is just his personality? We will never know but he takes each day in stride and never seems to complain about his lot in life. I can’t ask for much more than that! For me personally, diabetes has brought an incredible network of friends. Those friends have encouraged and inspired me to be involved and help to create changes to the world of diabetes in Canada. It amazes me to look back at how long I have “known” some of these people. There are the core group of parents that I met on the Children With Diabetes Parents Email list almost 15 years ago. They have been with me through the good and bad. They have been there with a hug or a shove in my personal life as well as in our life with diabetes. The connections made there have been some of the dearest of any I have ever made. They are truly the very, very best thing to come out of a life with diabetes. With their encouragement and prodding, I began to look to see what I could do to better improve the lives of people with diabetes. It led me into two areas–both dealing with fairness. First there was the issue of fairness in our tax system. Not long after my son’s diagnosis, I learned of a thing called the Disability Tax Credit. In reading the description, I knew that my son qualified. In time, I came to learn that the Canadian Revenue Agency did not always see things the same way that I did. Some people with diabetes were qualifying, some weren’t. Some people with diabetes were fighting for this right in court, some weren’t. I sought to equalize the playing field and make the powers that be understand what was really involved in living with diabetes. During this process, I met more amazing people. There were families struggling to get by. There were adults who just wanted to be treated equitably and see some financial relief from the burden of diabetes care costs. I interacted with many people, some I still hear from and others I see in posts on various social media platforms. Each one was vital for their support and their belief in what we could do. Together we did make a difference. Today, all children under the age of 18 are given the DTC upon receipt of the T2201 from their doctor indicating a diagnosis of Type 1 diabetes. Adults are also eligible for this credit but still must first prove that they are intensively managing their diabetes care and that it takes over 14 hours per week. When I read posts online about people getting this credit or when I read others advising their friends to check out my website for tips and information, my heart swells. I know that I have made a difference. The other thing that I have done because of diabetes that makes me proud is my work with parents and educators in regards to sending children with diabetes to school. This issue has been something that I have worked on since my son was 3 years old. He will soon be 18. The situation is not perfect, but I am happy to say that there have been profound and real changes in how diabetes care is viewed in many Canadian schools. When I began this journey, the only province to have any sort of legislation or provincial policy in place was New Brunswick. To date, provinces such as Quebec, Newfoundland, Nova Scotia and BC all at least mention the care and treatment of children with diabetes in schools in their provincial education policies. We still have a long way to go but I no longer receive numerous telephone calls each fall from parents struggling to get help. I hope that that is a sign that there is more and more support out there for families and students. You are absolutely amazing. Thank you for all that you do! The network of friends we gain is probably one of the best things about diabetes! I am really glad that you have been able to help level that playing field. Aww, I love this post and all that you have accomplished!